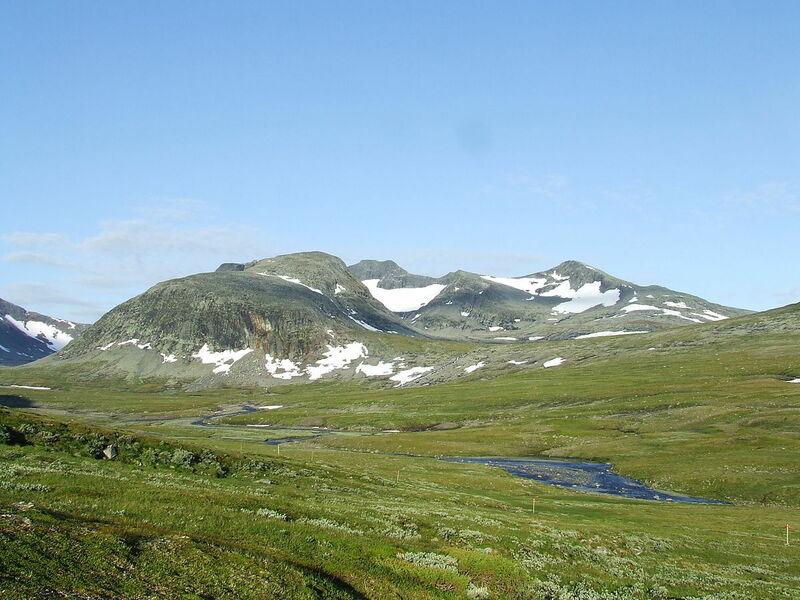 A tour, four days, through the fascinating, glacial landscape of Jämtland, central Sweden, south of Lapland, the borderland between Norway and Sweden. On the line between Trondheim(N) and Östersund(S). 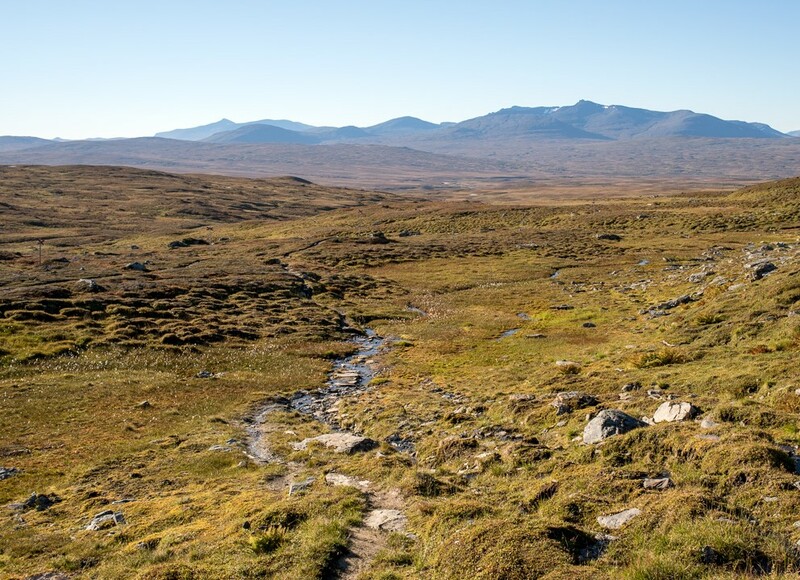 Jamtland is considered one of the last untouched nature reserves of Europe. Only 1,4% of the province has been cultivated.The landscape is characterized by vast green meadows, crystal clear lakes and snowy peaks. Getting there: a flight to Trondheim International Airport (or flights), and the train to nearby Storlien. 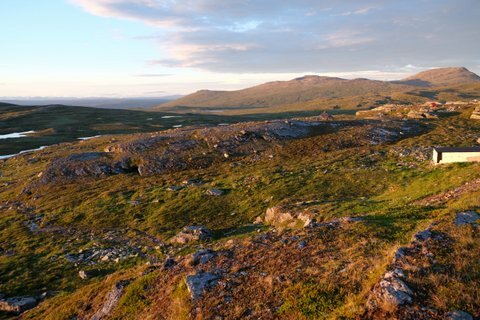 From here it’s a rugged 30-minute overland transfer through sleepy villages and past herds of reindeer and mountain lakes to Storulvån Mountain Station. Accomodation: Mountain Stations on trail. 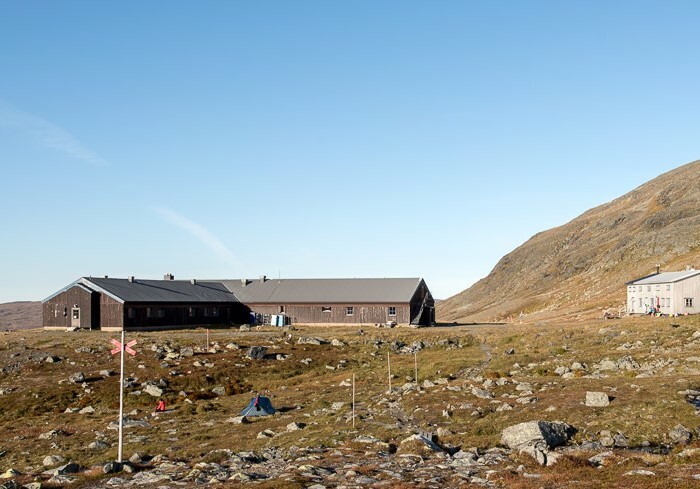 You can become a member of the Swedish Tourist Association (STF) in the first hut of your walk. Map: Fjällkartan Z6 Storlien-Ljungdalen, scale 1:100.000. August 2016: a four day tour through this fascinating walking area. The Jämtland triangle! 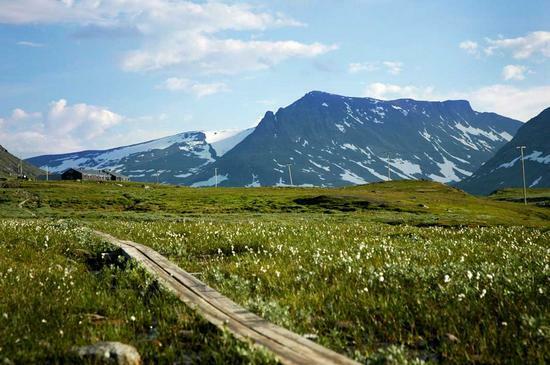 After the Kungsleden this is the most popular hiking region of Sweden. Day 1: Storulvån station - Sylarnas Fjällstation..................16 km. A 7-8 hrs walk on hilly terrain, some steep climbs and through small rivers. Between 700 - 1250 m. The Sylarnas Fjällstation is situated on about 1100 m.The walk is not very heavy, but the weather can change suddenly. In our case: strong winds and fierce rain came up as fast as they blew over again.The view of the mountain massif of Sylarna (1700 m.) is majestic. Day 2: Around the Sylarnas Fjällstation. Because of the overwhelming nature we decided to stay a day in the station and explore the area of the mountain massif. The borderland between Norway and Sweden, with snowfeelds, many rendeer, brigh sun.....We recommend: stay here for a day (and night) and enjoy the surroundings. 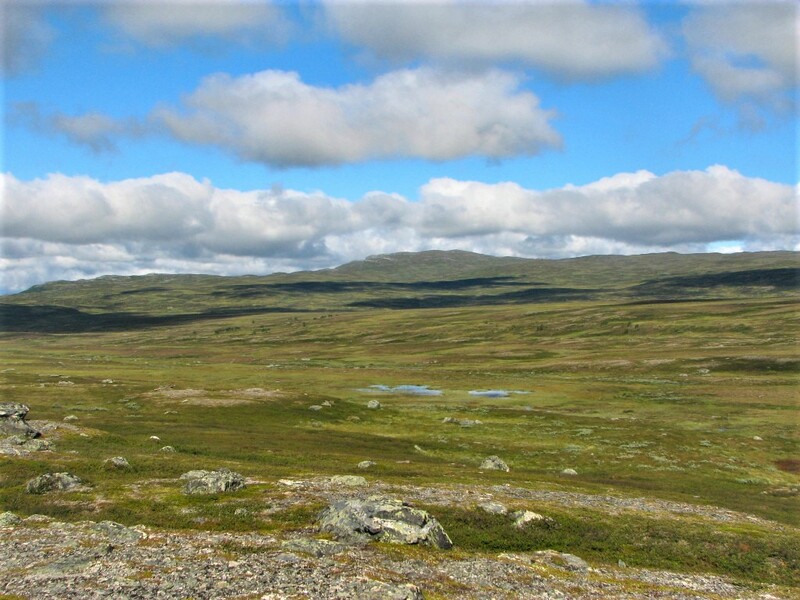 Day 3: Sylarnas Fjällstation - Blahammarens.....................19 km. The views, the space, the emptiness of this section of 19 km. are one of the best we have ever seen. Heavier than day 1(the terrain, hilly, the distance....), but clear weather, blue-green mountains.....Hours before you reach the station of Blahammarens you can see the hut.......and it seems if you do not step closer at all.....The station of Blahammarans is quite small, but well equipped. Here we saw, at quarter past eleven, the most beautiful sunset in a long time. Sunrise was at half past two......so, quite a long day.....Blahammarens station is situated at about 1200 m.
Day 4: Blahammarens - Storulvån station...........................12 km. The walk on day 4 is only 12 km. Descending from 1200 - 700 m. In the morning hilly, after that along a river, going down.....You need to cross a river 10 meters wide.....In the distance you can already see the hut of Storulvån. Where you started the tour. Jamtland Triangle: this is what your "hiking heart " ever desired. Clich here for another long distance walk in Jämtland. From hut to hut.